The very popular NEMO, a 47-foot Nautitech catamaran that charters up to 8 guests, is currently available for a New Years charter from December 28th onwards. 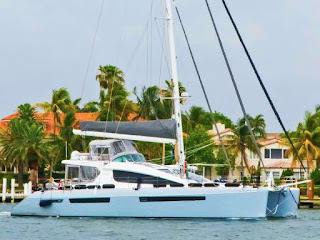 Luxury sailing catamaran Nemo has a bright and welcoming salon, professional galley, and great deck spaces for dining, sunning and playing. Nemo is fully air conditioned and accommodates up to 8 guests in 4 cabins, each with Queen berths and ensuite heads. Family groups of 9 or 10 may use the dinette which converts into a large bed in the salon. Amenities include: a 12-foot dinghy with 30HP 4-stroke motor, tube, kneeboard, wakeboard, kayak, 2 standup paddleboards (SUP), snorkel gear, TV/DVD in salon, iPod dock, hammock, BVI fishing license, floating mats, 12x6-foot lillipad, underwater camera, etc. Nominated best boat under 51' at the 2017 St Thomas Charter Yacht Show! 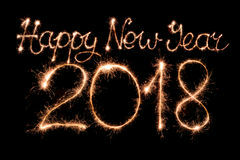 Here's a list of charter yachts that are currently available for New Years yacht charters in the Virgin Islands. Click on the yacht's name to access their electronic brochure. Please contact us for more information or about yachts in other locations. If yacht is not a flat rate for holidays, ask about prices for 3, 5, and 7 guests as they have been excluded to save space in text below... Also, as this is last minute, some may be available for holiday charters of less than 7 nights. Inquire for last-minute holiday discounts. RATE: $15,950/wk for up to 6 guests. Optional sleepaboard for $200 per cabin, 2 cabin minimum. Dinner ashore at client expense. Includes boarding after 4pm, welcome cocktail and breakfast the next morning. RATE: $24,150/wk for up to 6 guests. 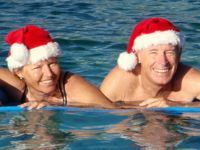 Here's a list of charter yachts that are currently available for Christmas charters in the Virgin Islands. Click on the yacht's name to access their electronic brochure. Please contact us for more information or about yachts in other locations. 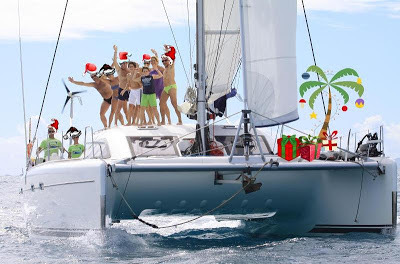 If yacht is not a flat rate for holidays, ask about prices for 3, 5, and 7 guests as they have been excluded to save space in text below... Also, as this is last minute, some may be available for Christmas charters of less than 7 nights. RATE: $10,000 off Christmas rate ($36,000/wk) ONLY $26,000/wk. 7 night minimum. RATE: $18,150/wk for up to 6 guests. RATE: $34,458/wk for up to 10 guests. RATE: $60,228/wk for up to 8 guests. RATE: $44,900/wk for up to 9 guests. 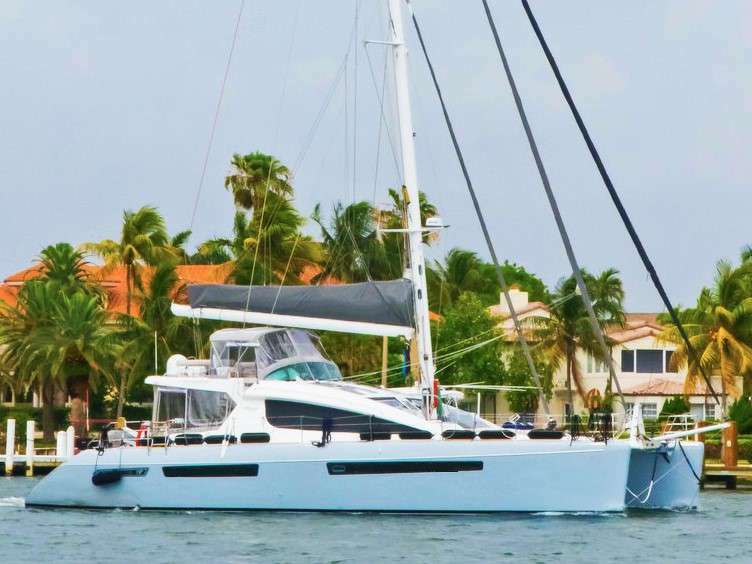 New to the Virgin Island’s fleet, catamaran Anastasia, knocks it out of the park! Last month at the 2017 VIPCA USVI Charter Yacht Show, Anastasia took home Best Crew over 50 feet and Best Boat over 50 feet. Also awarded was Anastasia’s Chef Rebecca, who won 1st Place - Entrée and 1st Place - Dessert! To celebrate their boat show success and kick start her first season in charter, Anastasia is offering 10% off 2018 yacht charters of 7 or more nights, when booked by January 31, 2018. Special offer not valid for holiday charters. Anastasia underwent a significant refit in 2017 including all new teak decking, Bluetooth enabled Fusion radio system throughout the vessel and in each cabin, granite countertops, all new exterior lighting, new linens, décor and galley-ware throughout, a Jura fully automatic espresso maker, and much more. Anastasia boasts 1 King Owner’s Suite, 2 King Staterooms, and 1 Single cabin to comfortably accommodate a 6-7 person charter. Scuba Diving is included at 5 dives per week per certified diver. Each cabin has its own private electric fresh-water head, private toilet, and individual A/C controls. For photos and a full list of refit items see the attached document.